Best cold pressed, this palette pleasing juice is loaded with Vitamin K which is essential for healthy, dense bones. Its deficiency shows up as bone-related problems like loss of bone (osteopenia), decrease in bone mineral density (osteoporosis), and fractures including hip fractures. This high level of Vitamin k in this Juice will help to prevent these type of bone diseases. 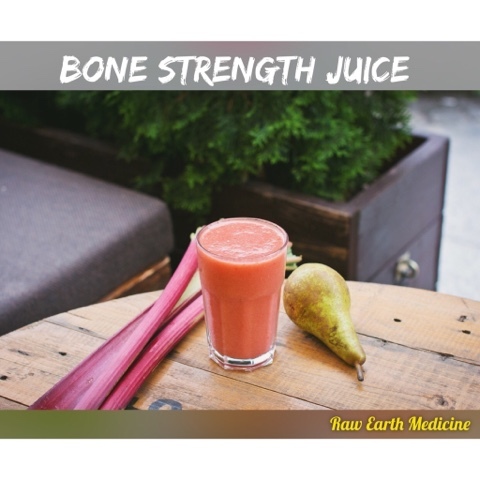 Bone Strength Juice contains high amounts of Vitamin B as well as a lot of minerals including magnesium, calcium, manganese and iron. Maintain your bone Strength by adding this sweet delicious cold pressed juice to your nutrition! Mix all ingredients in a food processor. Form balls! -minimal amount of oil in the cooking spray adds fat to the dish and the heated oil becomes a carcinogen which mildly raises your risk for cancer. It's still a healthier way to prepare this dish. Pan Fry: Add a thin layer of oil to your pan and heat until sizzling. Submerge balls in the oil and fry until crisp on each side. 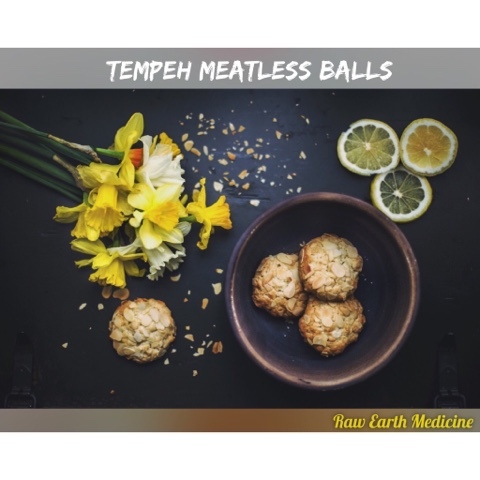 - high fat from the oil and frying has turned a healthy Tempeh Meatless Ball into a fatty splurge. Oven baked, pan baked or fried gives you the options to make this dish in multiple variations. This dish can be prepared in the healthiest of ways or as a splurge. It's up to you to decide! Fruit fuels good health! Don’t fear the fruit! Fruit provides the body with essential vitamins and minerals that help contribute to overall good health while certain fruits help keep specific bodily functions operating seamlessly. This chart is a great reference for the benefits of fruit. When you look at the overall comparison of what fruit provides the body verses what protein does for the body, it’s clear that your intake of fruit needs to be higher than your intake of protein in order for your body not to develop diseases. Keep your body running like a well oiled machine by making sure you have enough fruit in your nutrition!